Following on from their name and bottle change earlier this year, Darnley’s Gin from Weymiss Spirits, is opening it’s brand new distillery in July. The distillery is based in a renovated farm cottage on the grounds of Wemyss Malts’s Kingsbarns Whisky Distillery, in Kingsbarns, in the East Neuk of Fife. This means a move to Scotland from London for this gin producer. Wemyss spent one year renovating the site, and has incorporated copper stills from Italy. 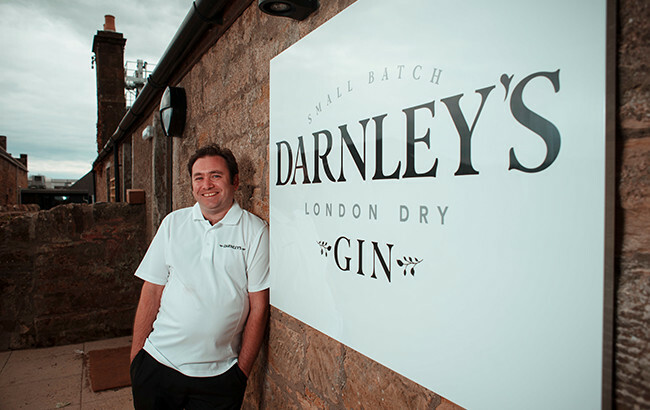 Scott Gowans has been appointed gin distiller for Darnley’s and will oversee all aspects of production and recipe development. Wemyss said the changes marked a “significant investment” for the business to support the growth of Darnley’s at home and overseas. The new site will also allow the Darnley’s team to “experiment [with] and craft future additions to the range”. “As a Scottish family business, it is also a decision that was an instinctive one for us, bringing the making of our gin home to a part of Scotland where we have such deep roots and a connection to the land and local communities. Distillery tours will commence on 2 July, offering guests the opportunity to view behind-the-scenes production. The Darnley’s Gin range currently consists of an Original variant, Spiced Gin, and Spiced Gin Navy Strength expressions.